Need to reuse the same login for multiple sites. Can I flag logins as being linked? There are some cases where I have one profile that can be logged in to multiple sites. For instance my EA profile is needed to login to swotr but are used in two different sites. My school account is used to login to the intranet, email, etc but need to be stored as different sites. Is there a way to flag logins to let 1password know that certain entries are ok to be repeated? If you do it, 1Password will not mark your Login items as duplicated. Let me know how it works for you. Thank you! Thanks. That can help with my school account but EA is a little weird. SWTOR requires the username login specifically but EA requires the email. 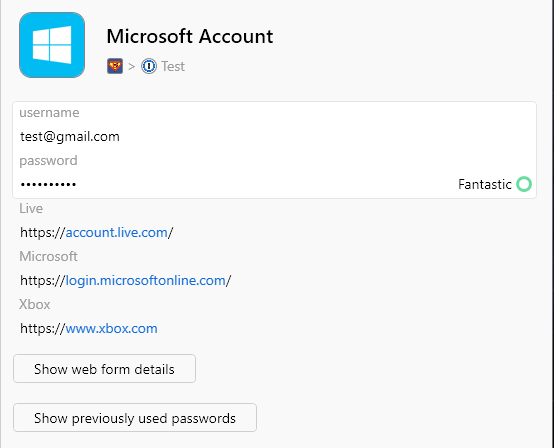 Is there a way to set a second username for a login? Or should I put the username in the default label and the email in a new section or label? No, there isn't a way to do that, it may confuse 1Password in filling the wrong data. Do you know if SWTOR will accept the email address? Many sites accept full email address in exchange for username anyway, so if the answer is yes, then I'd suggest putting the email in the default field and put username in the custom text field next. @MikeT No unfortunately they for some reason require the username specifically. It's really strange. It's the same login, if I change one it changes the other. But EA requires the email and SWTOR will only accept a username. Maybe I'll just keep the one and manually type in the username when I need to. @Squiggles: I have EA/Origin account, but it seems that I need to create a separate account for SWTOR. Am I right to understand that you use the same account on both websites? @Greg That's correct. For me both accounts are linked. If I were to change my EA password my SWTOR account would change as well. You can ask 1Password to type the username for you with Type in Window or just right-click on the Login item to select the other username to copy as long as you save that username as a custom field. We'd like to improve our extension in the future to detect this automatically for you.